Here is my final look of the working week and possibly my favourite. 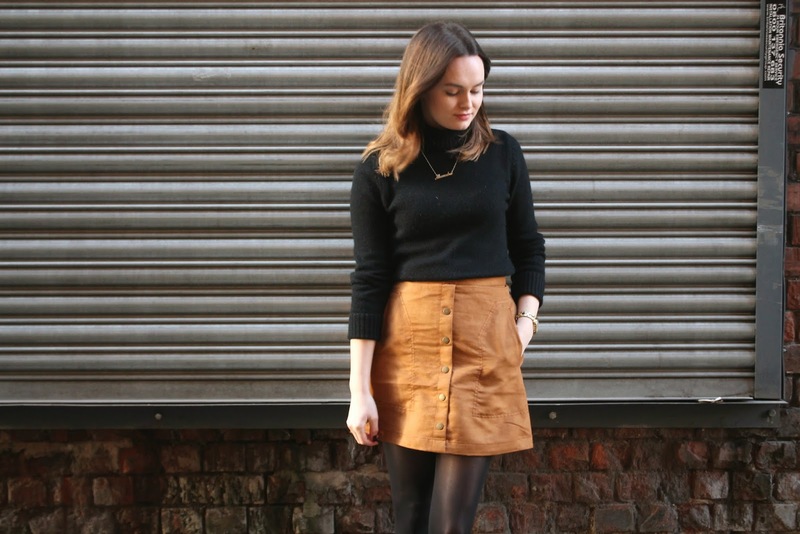 So we all know that the 70s trend is having a moment lately, and whilst I can’t envisage myself donning a pair of flares any time soon, tan suede is definitely something I can get on board with. This beauty of a skirt is the result of me popping into H&M whilst on my lunch, just to ‘have a look’. C’mon. We’ve all been there. After walking out of Tesco with a tin of soup because I couldn’t justify buying a big delicious lunch, I then went and bought this beaut A-line number.... no regrets. So, here’s to the last of my office #ootd – I hope you have enjoyed my daily posts and let me know if you’d like to see something similar in the future? P.S. A big thanks to the wonderful Rosie who has been helping me take my pics all week! 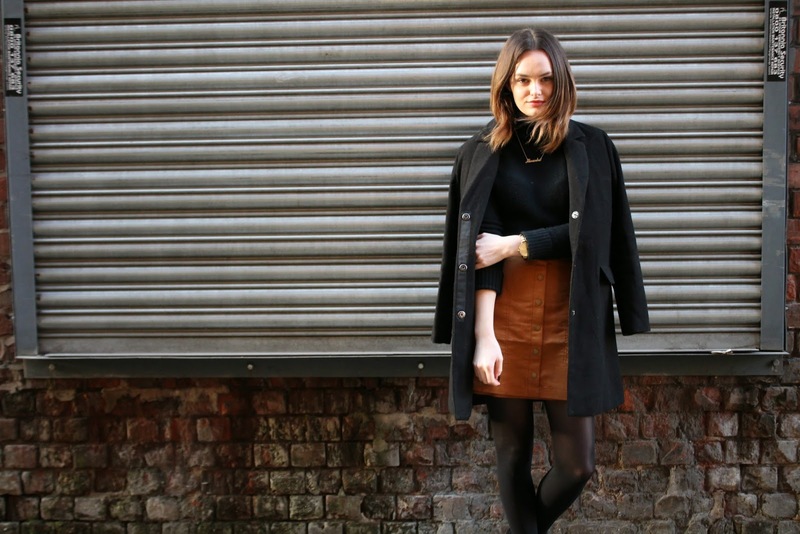 This skirt is so lovely, perfect for the seventies trend! You should definitely do more of these posts!